Four replacement bus services have been announced for Pocklington, Market Weighton and the surrounding villages. The changes include a downgrade of the 195 service on the Allerthorpe-Pocklington route which will no longer operate on Thursdays. This route services Allerthorpe, Thornton, Bielby, Everingham, Seaton Ross, Melbourne, Sutton on Derwent, Newton on Derwent and Pocklington. East Riding of Yorkshire Council has been working to organise alternative transport after East Yorkshire Motor Services took the decision last month to hand back its contracts to the council for running Service 195, Service 196, Service 198 and Service 199. The council sought tenders from local bus operators to provide replacement services and the new services will start from the week beginning Monday 7 May. Councillor John Barrett, the council’s portfolio holder for operational services said: “The council has stepped in to try to make sure residents on these routes are not left without transport. “We recognise that trading conditions and the cost of operating bus services are extremely difficult at the moment. York Pullman is now recruiting drivers for the service. This service between Allerthorpe and Pocklington will now be operated by York Pullman. The bus will continue to operate on Tuesdays, but it will no longer operate on Thursdays. This service between Aughton and York will now be operated by York Pullman. It will continue to run on Thursdays only. This service between North Cliffe and Market Weighton will now be operated by Goole Go Far from Friday 11 May. It will continue to run on Fridays only, but passengers wanting to travel will need to book in advance by calling East Riding of Yorkshire Council’s booking line on 03456 445959 up until 4pm on the Thursday before travel. 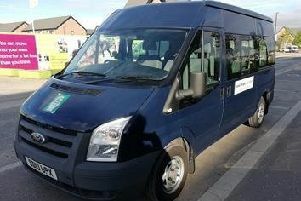 Passengers will be transported to Market Weighton to arrive between 10am and 10.30am. For the return journey from Market Weighton, passengers for Goodmanham and Londesborough will be picked up at noon. Passengers for all other villages will be picked up at 12.20pm. This service between Huggate and Pocklington will now be operated by York Pullman. The service will continue to run on Tuesdays only with some slight time changes. Email public.transport@eastriding.gov.uk fo find out more information about the services or to see a copy of the timetables.